All Jenway chloride meters, colorimeters, flame photometers, hotplate/stirrers, conductivity meters, pH meters, dissolved oxygen meters and ion meters now come with a 3-year warranty. In addition, the guarantee on spare parts increases from six months to one year. 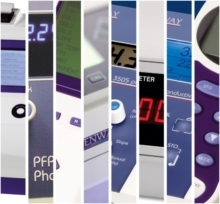 By extending the warranty period from two to three years on eight different product ranges, matching that offered on the company's spectrophotometers, Jenway highlights the company's commitment to producing high quality, highly reliable scientific and analytical instrumentation. If an instrument should break down during the warranty period it will be repaired or, if necessary, replaced free of charge. Any repairs or spare parts fitted are also covered by a one-year warranty. This move to substantially increase the warranty periods on Jenway's extensive catalogue of chloride meters, colorimeters, flame photometers, hotplate/stirrers, conductivity meters, pH meters, dissolved oxygen meters and ion meters marks a significant initiative, setting these products apart in the marketplace.